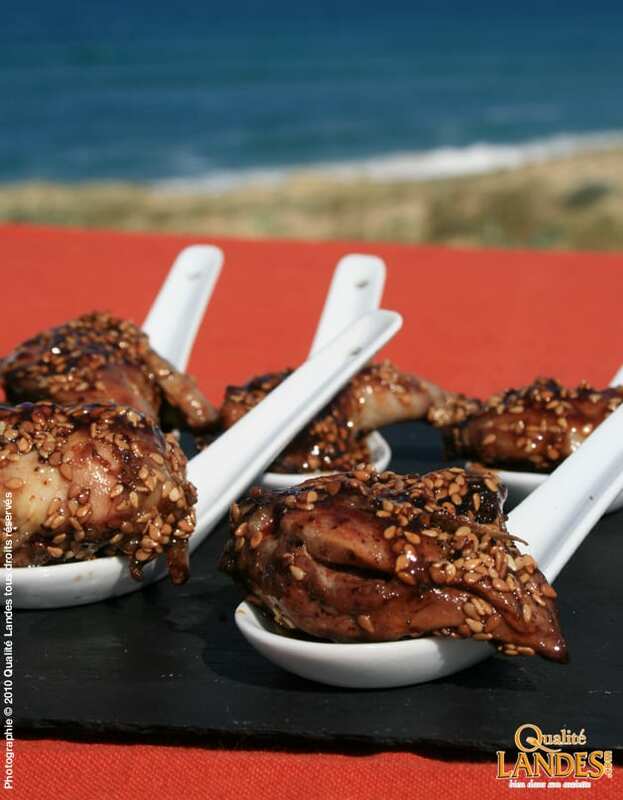 On the plancha, cook the pieces of quail seasoned with salt and pepper. Put to one side. Heat the honey, and when it changes colour, add the balsamic vinegar. Bring to the boil and then deglaze with the red Floc de Gascogne. 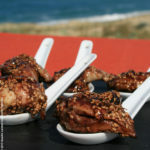 When the caramel thickens, coat the pieces of quail in the sauce and sprinkle with sesame seeds or pine nuts.